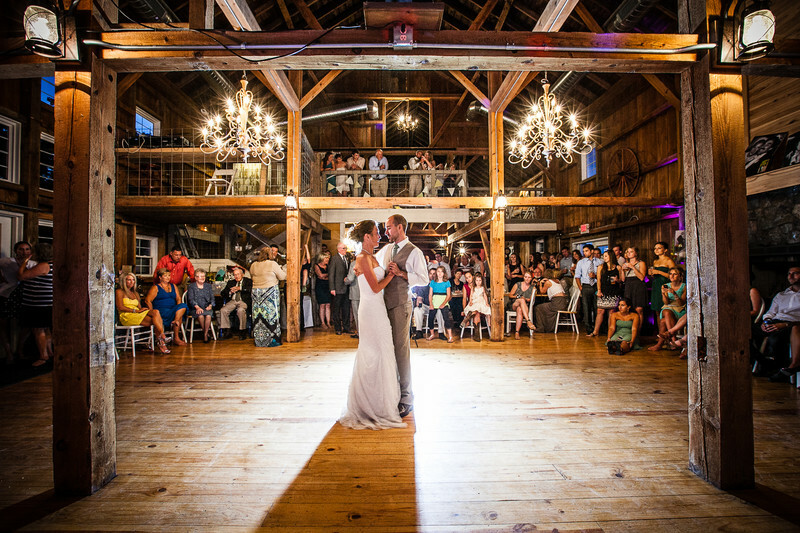 The Barn at Harvest Moon outside of Madison is a wonderful place for weddings. As a photographer this place has so many great locations for pictures. The barn interior is very rustic and people on the second floor can watch the action below on the dance floor, For this image I lit the bride and groom with my Alien Bees 800 and I placed the light behind them to get a rim light. I shot at a middle of teh road aperture with a wide lens to get a star effect on the lights hanging above them. 1/15; f/9.0; ISO 2000; 16.0 mm.